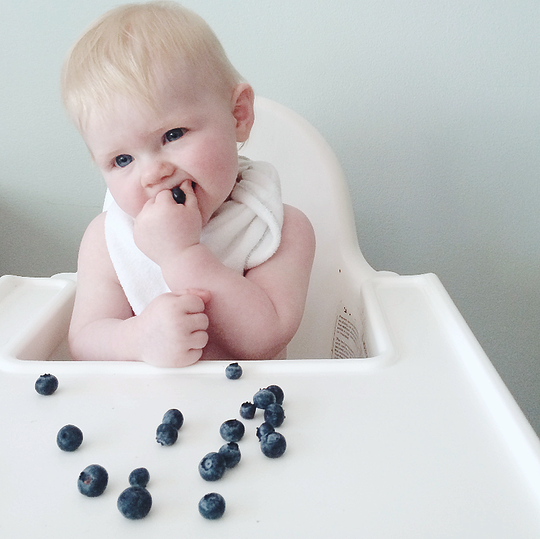 These organic multi-use bibs by Numpfer make me wish I had a newborn again, they are exactly what they say they are, a ‘Must-Have.’ Their super soft and absorbant terry cloth fabric is perfect for the delicate skin of your newborn baby. 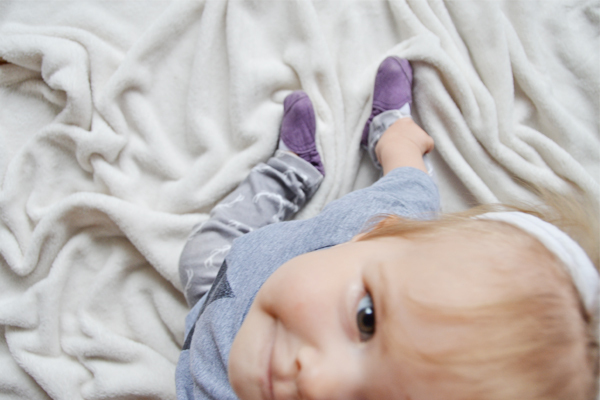 Numpfer also makes loveable blankets out of an organic bamboo-cotton blend jersey fabric, similar to their bibs. Their all white fabric is designed with a hint of your favorite color around the edge making their pieces so modern and timeless. A few months back, I came across Numpfer on Instagram, it didn’t take much browsing to fall in love with this local brand. I very much enjoy following Sarah’s feed and discovering more about the Momma behind the business, as well as, the darling girl who inspired it all. 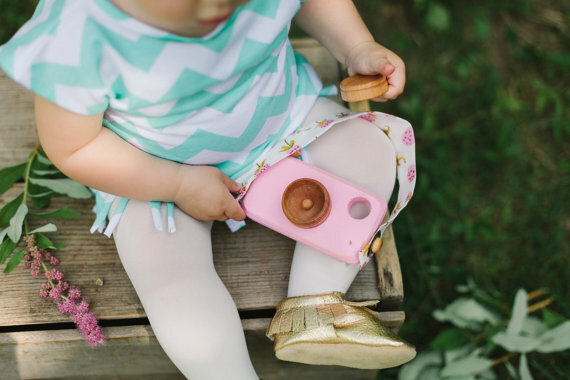 Sarah’s feed is filled with beautifully photographed shots of her products, her gorgeous daughter, and little bits of her everyday life. Recently, I got in contact with Sarah and got to learn more about who she is and her motivation behind Numpfer. When I asked Sarah to tell me a little bit about herself, her response put a huge grin on my face. I loved how much I felt like I could relate to Sarah, her honesty and openness is admired. Sarah likes to be busy, she is constantly multi-tasking and can’t stay still for too long. Though after a busy week Sarah looks forward to the weekend, the time that her little family gets to spend all together. Sarah described a favorite past-time, she said, “I love going on very long walks around the city with a coffee in my stroller cup holder, that spills unless the cup is half full, and a croissant in my hand, that I usually share with my daughter.” With Sarah’s busy body personality, love for the outdoors, and desire for simple, classic, and linear design she created a brand that truly represents who she is. The birth of Sarah’s daughter gave her motivation to start her unknown dream job. Sarah said, “When my daughter was born, she was in the nursery for her first few days of life where she started feeding on a bottle and preferred the bottle. The hospital nurses always used washcloths as bibs, though very absorbent they didn’t reach all the way around her neck, resulting in a very wet outfit.” After getting home from the hospital, Sarah looked around for a bib appropriate for bottle fed newborns, she found the market lacking. Sarah decided if she was in need of this, than other parents probably needed it too. It didn’t take her long to purchase some organic bamboo terry cloth from a local supplier and design a pattern that would tie around the side, while bunching around the chin for extra absorbency. With this, Numpfer was born. The Multi-Use Bibs were first, and the next logical step was blankets. On Christmas last year, my sister got me the cutest pair of custom made baby shoes, they even had her name on them. I was so excited for her to grow bigger so they could fit her and she could wear them all the time. When she grew into them they got a lot of love, almost every time we went out we put her Tiny Threads shoes on. 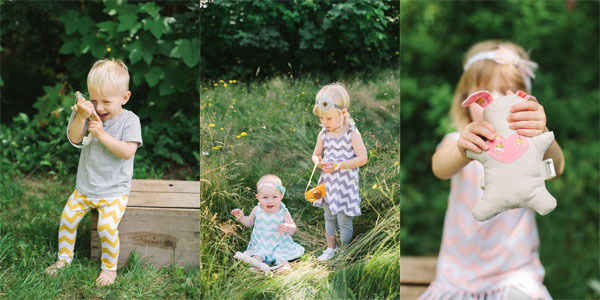 I was impressed with how durable they were and how well they stayed on my little ladies feet. Recently, I’ve had the opportunity to learn more about Tiny Threads and how Melissa operates her small business. Melissa is a hardworking wife and momma, not only does she run a small business, but she also has three children that keep her on her toes. Melissa has a small background in sewing from a high school class, though the majority of her skills are self taught. When her daughter was four months old she decided to use her sewing skills and make a pair of baby shoes. Melissa loved the outcome and decided to continue to make more for friends as gifts. With much encouragement and thought Melissa made the decision to start publicly selling her shoes, from here her passion ignited. Every pair of shoes is handmade by Melissa, she puts a lot of time, energy and love into each pair ensuring that every stitch is perfect. The process begins by cutting out the specific size fabric for the each shoe, Tiny Threads has a wide range of shoe sizes for your babies and toddlers. After cutting, comes ironing and then pinning. With each shoe you get to choose a specific fabric for the outside and inside, Melissa pins these two fabrics together before beginning to sew. This entire process takes Melissa about an hour and a half to complete one pair of shoes. 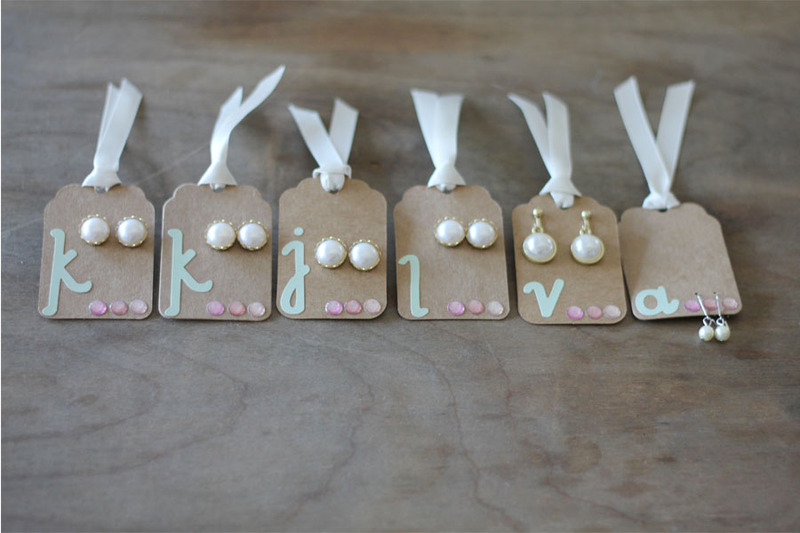 Tiny Threads also gives you the option to order your shoes with your child’s name written on the back and side tags. Fabrics, colours, and designs are all purchased according to popular requests. Melissa loves hearing feedback from her customers, present and future, and caters to their needs. Melissa mentioned, “I found that a great way to make my business successful is ensuring that my customers are 100% happy with their orders.” It is very important to Melissa that she fulfills her customers special requests. “Having my own business has been a real blessing in terms of working my own hours and allowing myself to be home with my kids, all the while absolutely loving what I do,” exclaimed Melissa. It has been a real joy for Melissa to see her business take off and see children wearing her brand that she has never met. 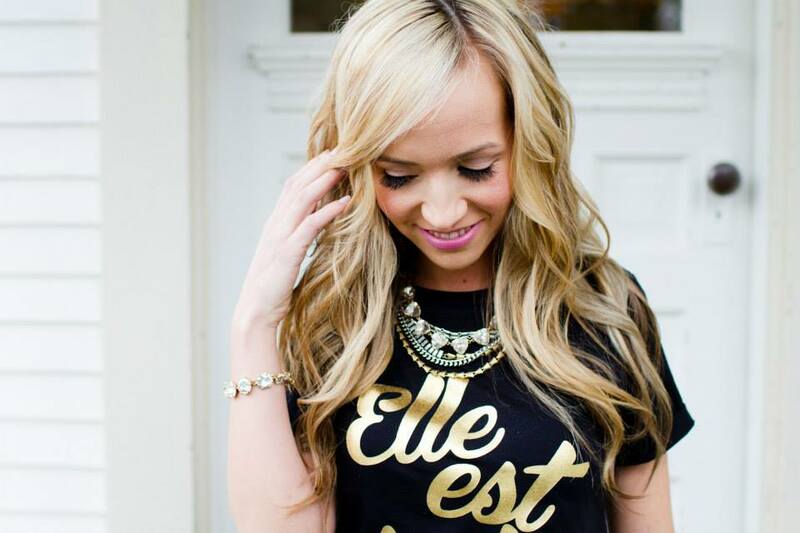 Melissa would love for her brand to expand substantially, she is currently using Facebook and Instagram to market herself and has found much success in these social medias. 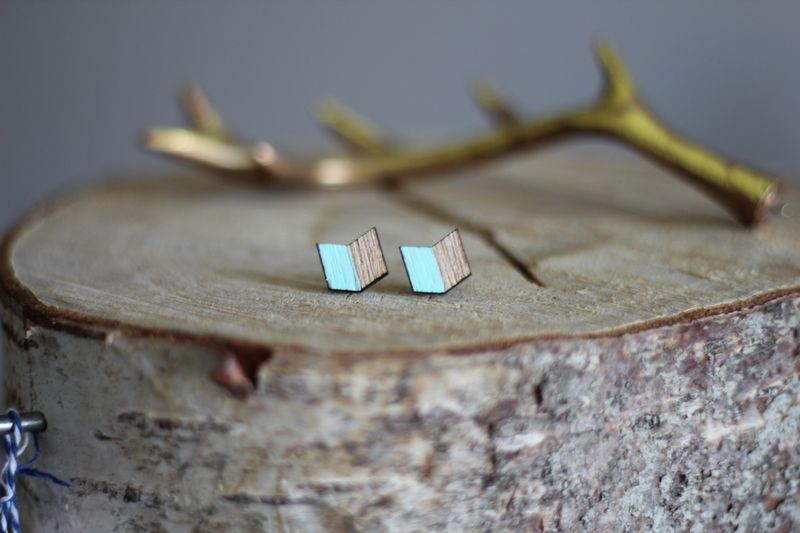 Sarah Threlfall and Tammy Toews started their own small business, Twin Tree Jewelry Design, as a fun hobby to satisfy their creative passions. 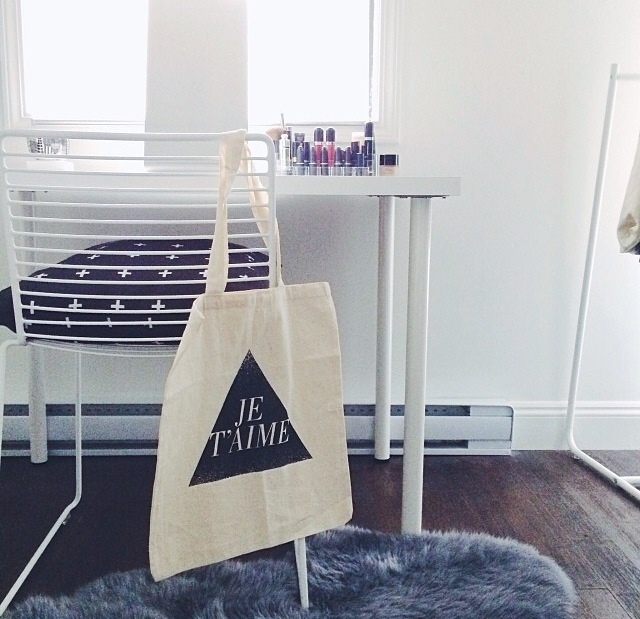 The twin sister duo strives on creating unique handcrafted pieces to compliment everyday wear. Their outgoing personalities, creative passions and eagerness to keep up with fashion’s latest trends allows these girls to shine. 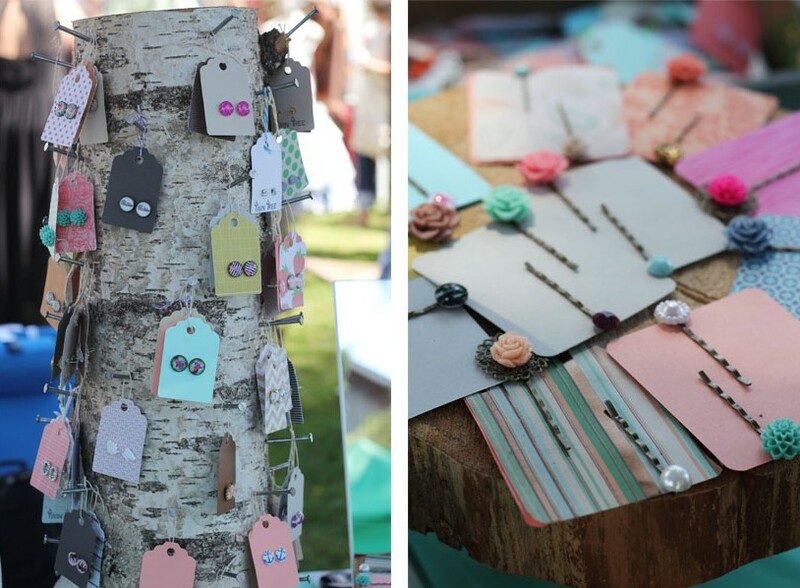 Twin Tree Jewelry consists of a large array of different styled earrings and hair pins. Whether it’s a wooden stud, an elegant clip-on or one of their chic dangly earrings, they have earrings to suit every unique individual’s style. If you are looking for something a little bit more personalized these ladies create unique custom pieces for your specific needs. Sarah and Tammy love assisting their customers while they are jewelry shopping and finding them the perfect item to compliment their outfit of the day or special event attire. Sarah and Tammy also mentioned that their ability to create custom orders for their customers makes them stand out from other jewelry lines. They have an amazing ability to create and bring their customers visions and ideas to life through their designs. Twin Tree Jewelry has received amazing feedback, not only on their jewelry line and custom orders, but on how they continually impress and please their customers. Incredibly sastisfied customers is a huge benefit as their brand is most successfully marketed through word of mouth advertising. Happy customers sharing their experiences, combined with their extremely reasonable and affordable prices, allows Twin Tree Jewelry to be so successful. Sarah and Tammy have also found great success selling at local vintage and handmade markets. They believe their eye catching display, showcasing their jewelry on white birch stumps that turn on a lazy susan, gives customers a great chance to view their merchandise with ease. Currently Sarah and Tammy both work full time careers, while Twin Tree Jewelry Design is their small business on the side. They have been encouraged by their customers to expand their line to include bracelets and necklaces, however, they both said they enjoy keeping it casual and relaxed. Sarah and Tammy are excited for what the future holds for Twin Tree Jewelry, maybe one day they will extend their jewelry line and expand into more local shops and hair salons. I am so pleased to be able to share this lovely handmade business, From The Seeds, with you. After discovering them on Instagram, I was instantly blown away by the creativity behind Amber and her loving husband. Their inspiring, captivating, and unique creations had me wanting to learn more about how From the Seeds came to be. Settled in British Columbia, Canada, Amber keeps busy with her two year old boy, two silly pugs and a chubby kitty. While on maternity leave, Amber created her first lovey bunny for her teething son, it was a hit. The feedback Amber received from family and friends was very impacting. With these kind and motivating words Amber was motivated to use her creative spirit and passion for sewing to start a business of her own. Amber’s husband, Barry, became more involved in the business when one of her dear friends requested he make a toy camera. Barry is self taught in woodworking, however, Amber knew he had the skills to produce something wonderful. Barry carefully crafted the wooden camera and lens cap, while Amber sewed a strap, painted the wood, and coated it with a finishing oil, made from a combination of homemade beeswax and organic grape seed. The finished product was phenomenal, and without question, From The Seeds added another item to their inventory. During nap times and after Amber’s little man goes to bed she is able to continue to work hard at making From The Seeds a successful small business. Each item in their inventory is hand crafted with so much love and care. 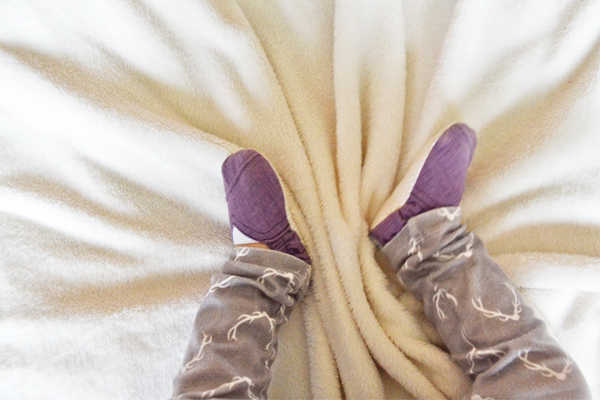 Her top seller, the lovey bunnies, are so soft and cuddly and made from high quality linen and stuffed with organic cotton. 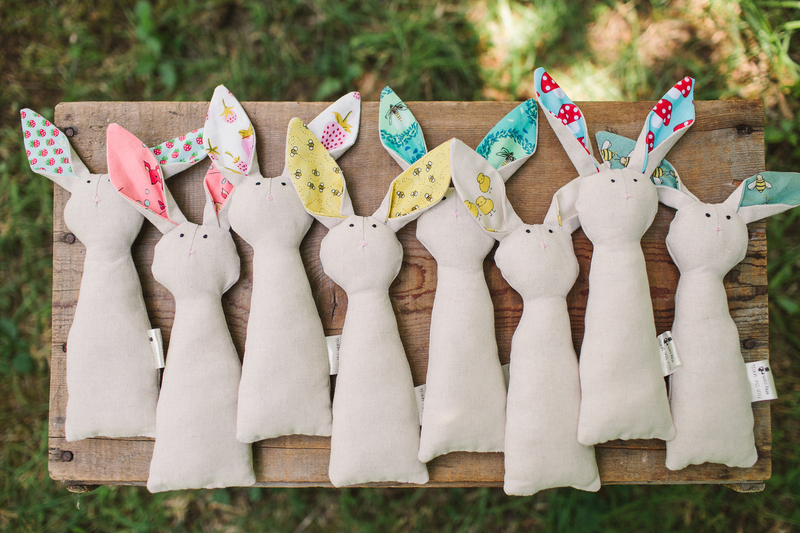 With great attention to detail, Amber brings her lovey bunnies to life by embroidering on their loving faces. Amber’s teething bunnies are also such a pleasure for her to make. Each teething bunny is made perfectly for tiny hands to grasp around the body and get a good grip. Originally the teething bunnies were specifically created for a local shop, although recently Amber has decided to list them online. Creating and completing each unique order brings so much joy to Amber. Since starting out Amber has learnt a lot about what keeps her business successful. Consistency has been the key for her success. Amber has recognized that if she focuses too much attention on filling orders for her local shops her online shop has suffered. Her business strives when she is consistently posting new listings online, while balancing orders for local shops. As SHE IS Clothing continues to grow, Kimberly will continue to listen to the Lord for guidance when making new business decisions. 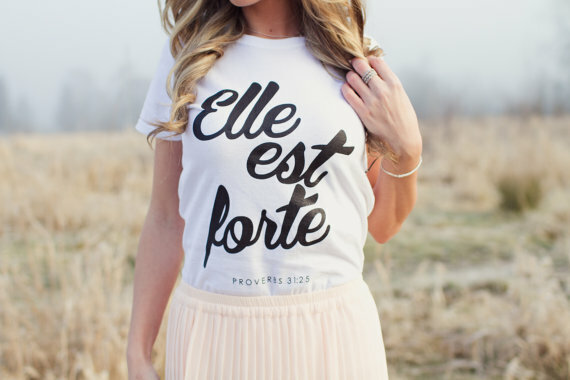 She is currently working on new designs to expand the SHE IS Clothing line. The husband and wife duo, Ryan and Miranda McCullagh, are an incredible pair. These two lovebirds first began creatively working together in an indie-pop band, The Paper Cranes, and they have carried that passion now to their clothing line, Whistle & Flute. With Ryan’s background in graphic design, specializing in apparel printing, and Miranda’s schooling in fashion design, artistic eye, and intuition for design trends these two have been able to create a gender neutral brand, popular for both adults and children. Miranda and Ryan decided to create Whistle & Flute following the birth of their son, Akira. 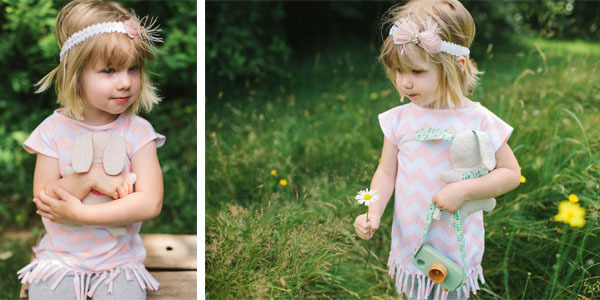 They said, “We wanted to create a line of children’s clothing featuring printed designs that they themselves would wear.” Whistle & Flute is completely family run and each item is made to order on American Apparel clothing with eco-friendly ink. 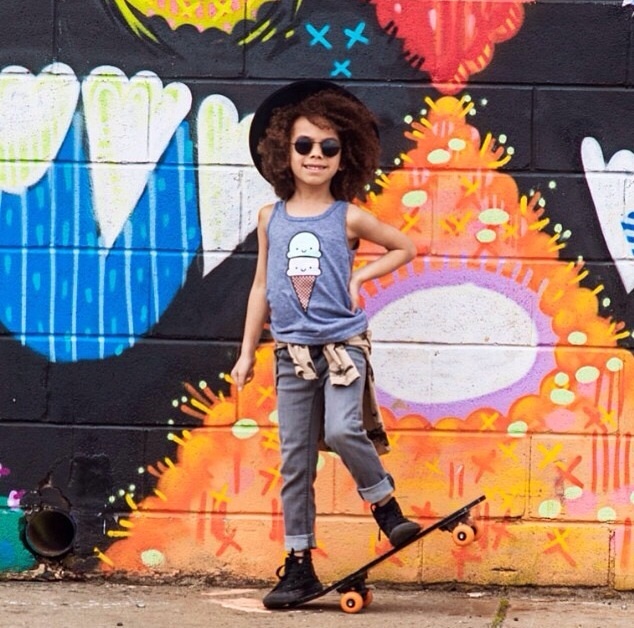 Inspired by Japanese kawaii characters, modern design, and typography they have succeeded at making a stylish children’s apparel brand that is not only for children. 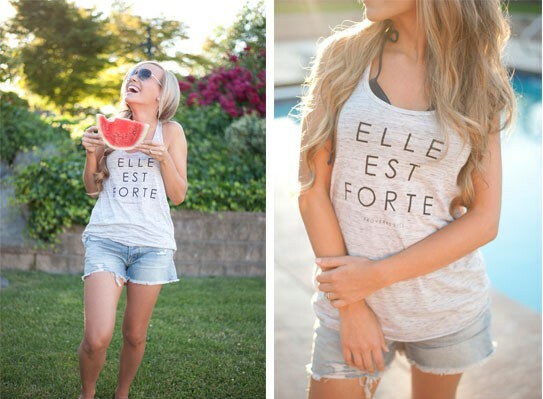 The name Whistle & Flute is a perfect fit for their clothing label. Originally the name, Whistle & Flute, comes from the English rhyming-slang for a suit of clothes. Their musical background in “The Paper Cranes” and the fact that Miranda actually does play the flute just makes their name that much more perfect. “When we decided on our name we had no idea we would still be doing this a year later let alone have the type of response we did,” replied Miranda. After creating their first design, the Kawaii Cloud T-Shirt, Miranda and Ryan received extremely positive feedback. Although the design was originally created solely for their son Aki, they were strongly encouraged by their friends to try selling publicly. A lot of Ryan and Miranda’s success has to do with the way they choose to advertise. Whistle & Flute has almost completely advertised through word of mouth and social media. They have created a very strong social media platform, in which they can reach people all over the world. It isn’t surprising that their Instagram alone has over 36K followers, their photos are timeless, crisp, captivating and inspiring. 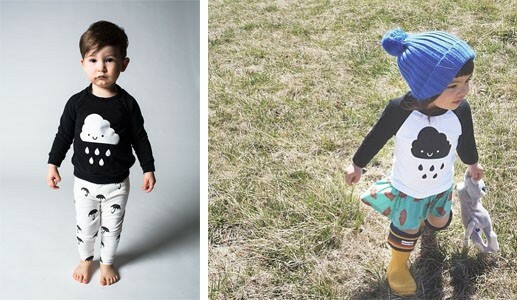 Miranda and Ryan have two beautiful boys who steal the spotlight and model their apparel very well. It is important to remember that to be a successful advertiser on social media isn’t easy but with hard work it will pay off. Miranda and Ryan love the time that they get to spend on all things Whistle & Flute, she said, “When you’re doing something you love so much it doesn’t feel like work.” Through their advertising on social media sites Miranda and Ryan are also able to see photos of kids wearing their product, they LOVE it and feel so rewarded by these photos. In the future they hope that Whistle & Flute will continue to grow and start branching out to different medias, possibly even into housewares. As for now they plan to release a new kawaii design every season as they know that their customers love their kawaii items. This fall they are launching a kawaii panda and apple!